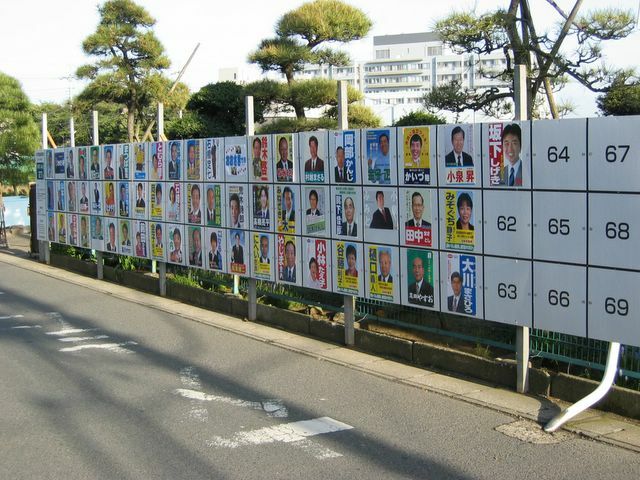 The people on the posters in the photo above are running for political office. 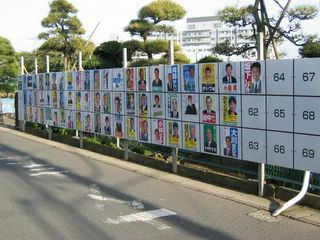 These political poster boards can be found all most anywhere in Japan. i'll have to post a shot of some of the local political campaign posters from here in Savannah, GA sometime soon. exact opposite of this. big gaudy jumbled mess. would be a cool contrast. I would like to see some of those posters! I guess it is a good idea that the posters are all the same size here in Japan. At least the people with more money don’t have an unfair advantage in that respect.